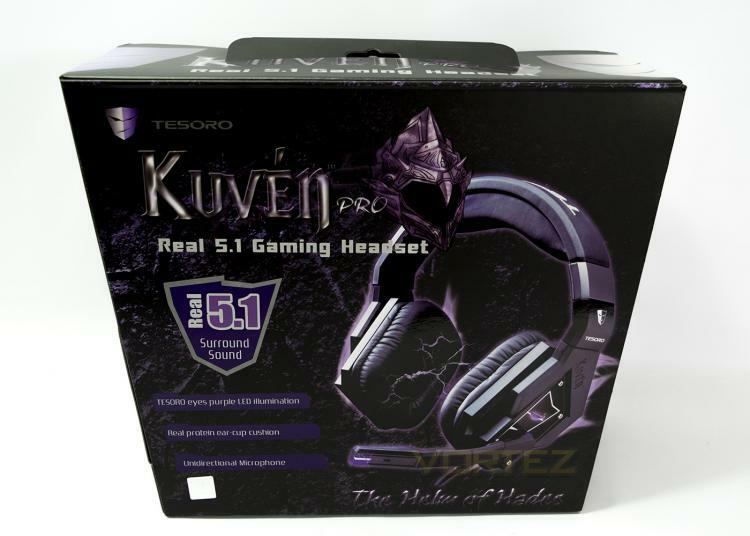 The packaging comes in Tesoro's violet on black theme, in an aggressive gamer fashion, sporting an image of the helm of Hades while listing various features, most prominently the 5.1 surround sound. 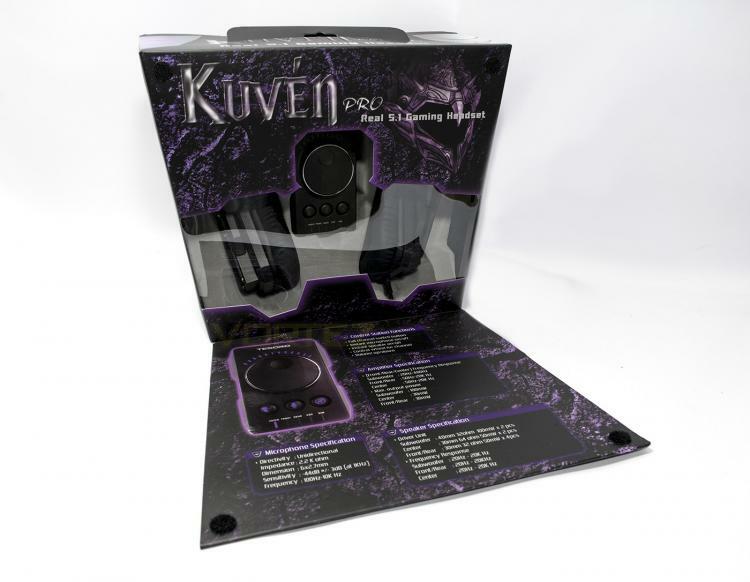 The front of the packaging opens up to give an inside view of the product while listing some detailed technical specifications. 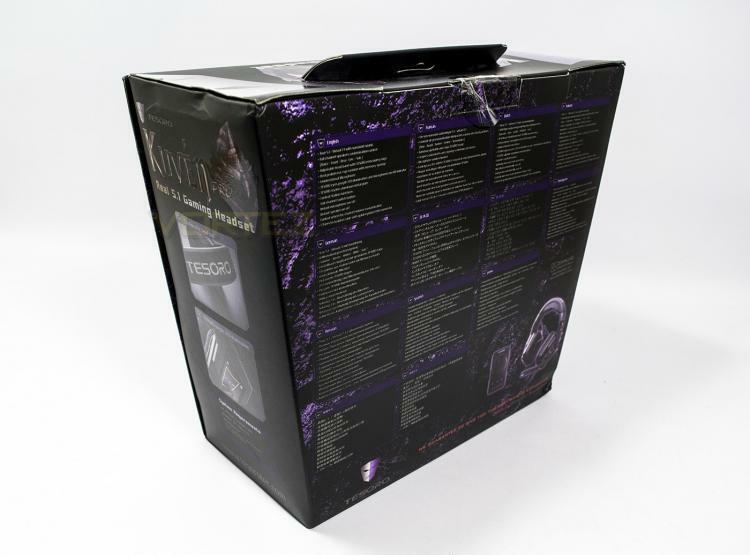 The reverse side of the packaging is reserved for a multilingual breakdown of all the features. 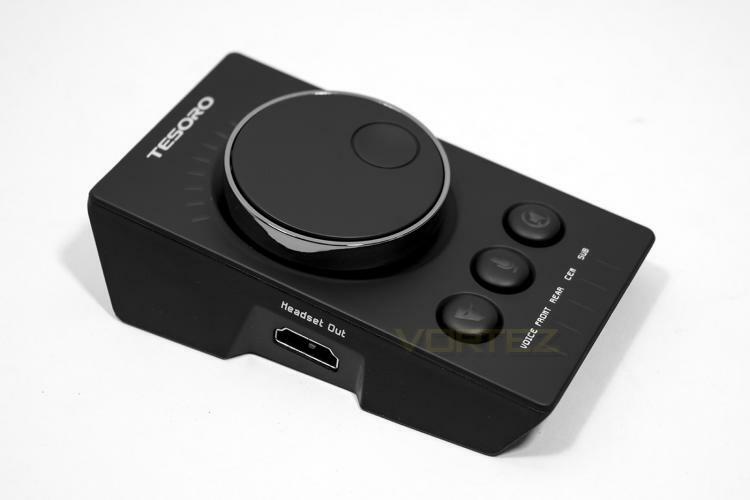 Included inside the box is a 2m USB to mini USB braided cable to connect the control box to your system, the control box/amp as well as the expected quick start guide and information about Tesoro. 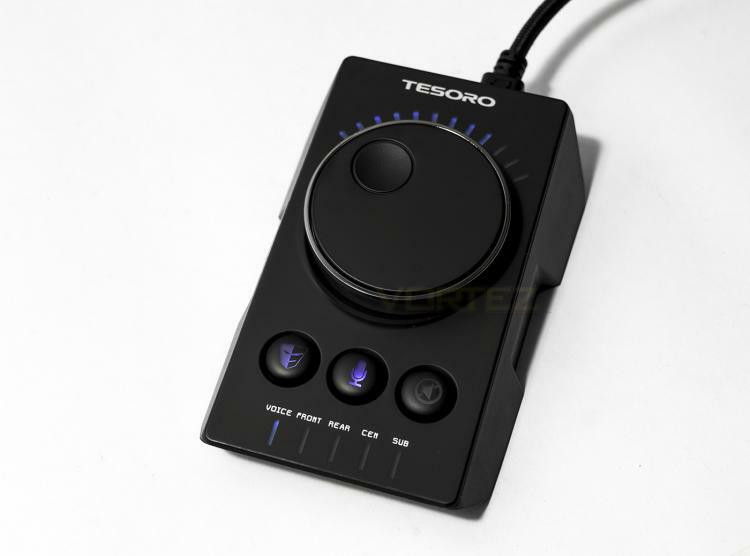 The Control box features a large dial for volume control, a selector button for individual channels, a microphone mute button and a volume mute button. 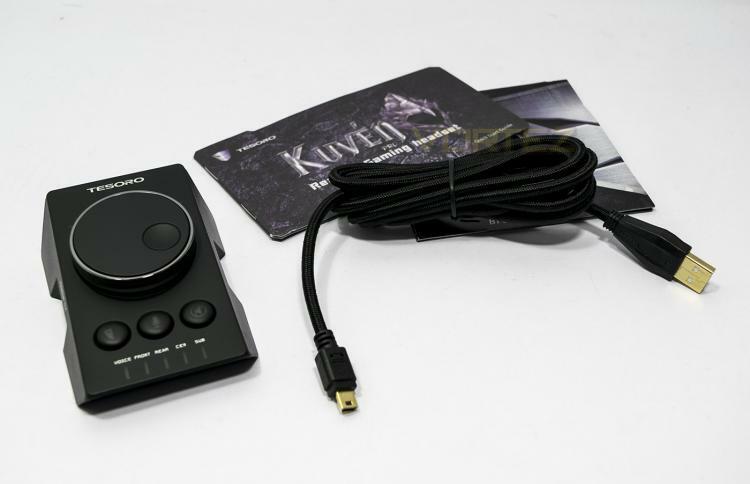 On the left side there is a HDMI output which the headset connects to. 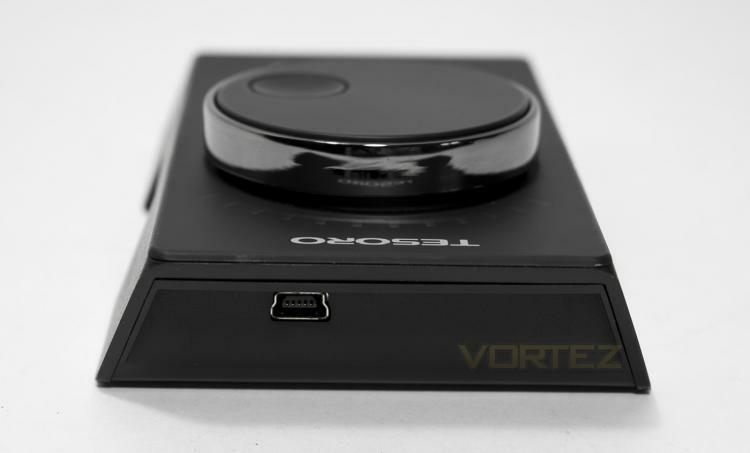 Round the back is where the mini USB cable plugs into.